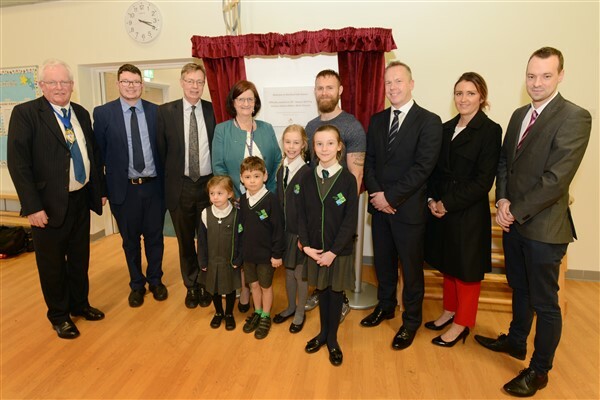 Celebrated Invictus Games gold medal winner, motivational speaker and author, Mark Ormrod, and Sir Gary Streeter, Member of Parliament for South West Devon, joined local dignitaries, families and members of the Sherford Consortium, to officially open Sherford’s first primary school. To celebrate the official opening of Sherford Vale, Mark Ormrod unveiled a commemorative plaque, with Sir Gary Streeter MP also joining children to bury a time capsule at the school. 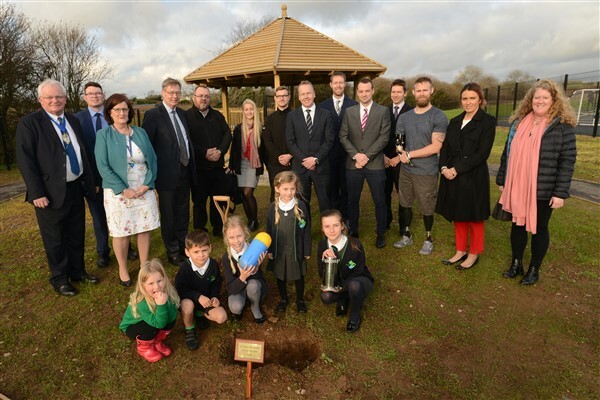 The new school represents a £6m investment into community infrastructure and has been funded by the Sherford Consortium – the partnership of award-winning homebuilders, Bovis Homes, Linden Homes and Taylor Wimpey – with £1m also pledged towards its creation by Devon County Council. Marking a major milestone in the development of the new community, Sherford Vale opened its doors for the first time in September. The pupils, aged between 2-11 years old, are the first of 420 children set to attend the new school, which is sponsored and run by the Westcountry Schools Trust (WeST), which has a proven track record in education excellence locally. As well as being one of the first major events for the new school, the official launch was also an opportunity for local dignitaries to tour the completed building and meet teaching staff and parents. Guests were shown around by school ambassadors and treated to a performance from pupils, reflecting the schools values; Think, Create, Ask, Succeed. Pupils had also created a short film for the occasion, which shared their hopes for the future, as well as performing a song about building a new community. The children joined Sir Gary Streeter MP, Sherford Consortium and guests to bury a time capsule in the school grounds. Set to be dug up in 2038, once the construction of Sherford is complete, the time capsule contained an ancient piece of pottery unearthed by archaeological teams at Sherford, as well as letters and drawings by the children, outlining their hopes and visions for the future of Sherford. Located at the heart of the new community, Sherford Vale is the first of four planned schools set to open in the next decade. Offering a rich and balanced curriculum, Sherford Vale boasts high quality facilities, state-of-the-art equipment, and indoor and outdoor learning play spaces. Teaching also focuses on sustainability, taking advantage of Sherford’s extensive Country Park, woodland and wildlife habits. 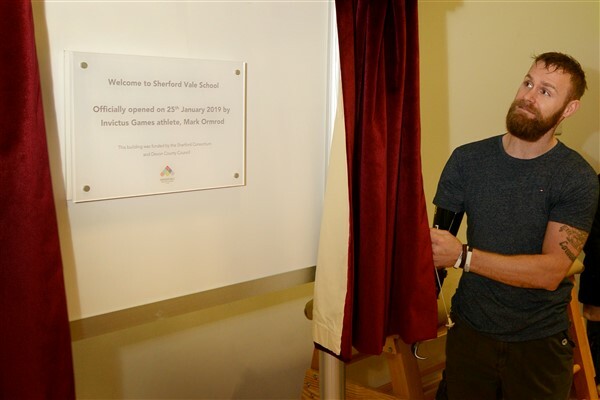 Malcom Gilmore, Sherford Consortium said: “It is fantastic to celebrate the official opening of Sherford Vale alongside those who helped turned the school’s vision into a reality, as well as welcoming Mark Ormrod to unveil the plaque and tour the new facilities. Helen Tipping, Headteacher, Sherford Vale School said: “Since opening, Sherford Vale School has quickly become established at the heart of the community – and a place which the children, staff and families are proud to call ‘our school’. The first few months have been amazing, and alongside an enriching curriculum, new friendships are being made every day.